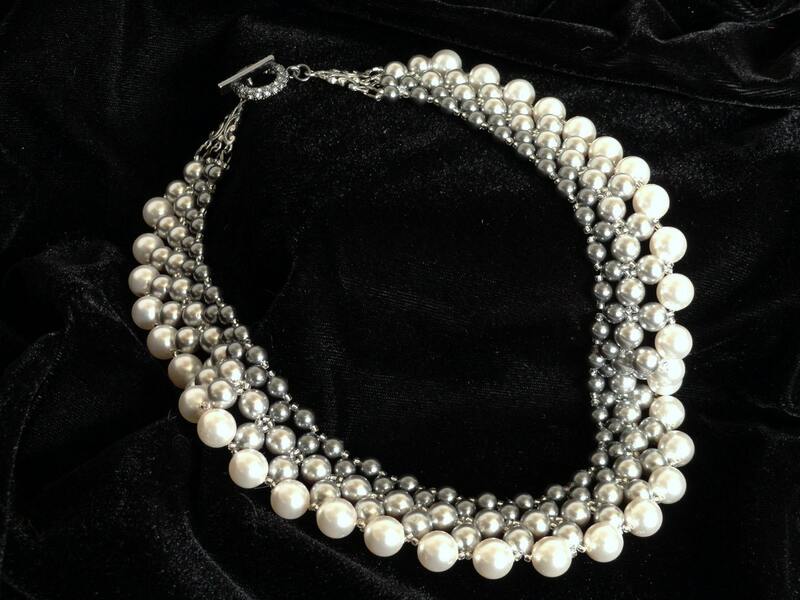 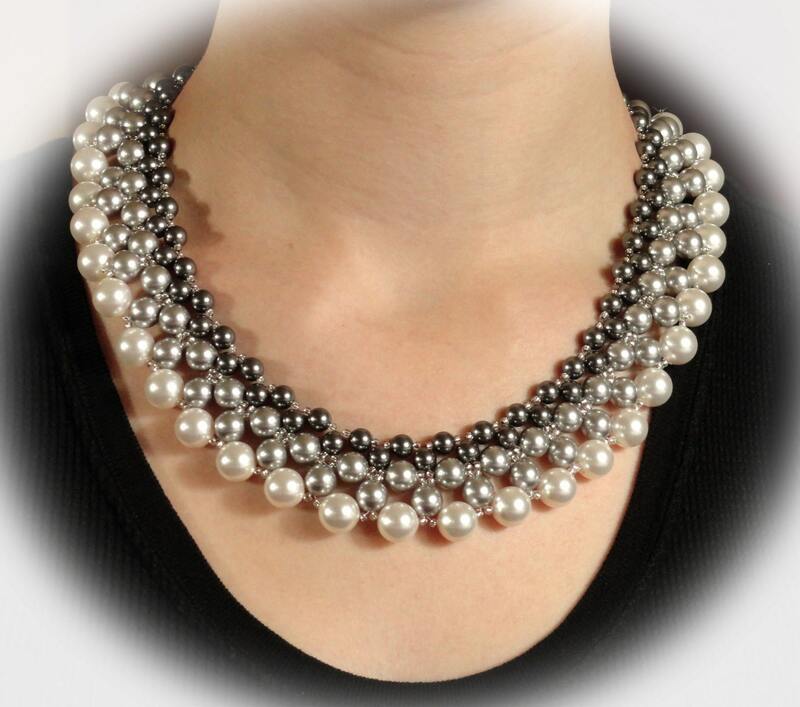 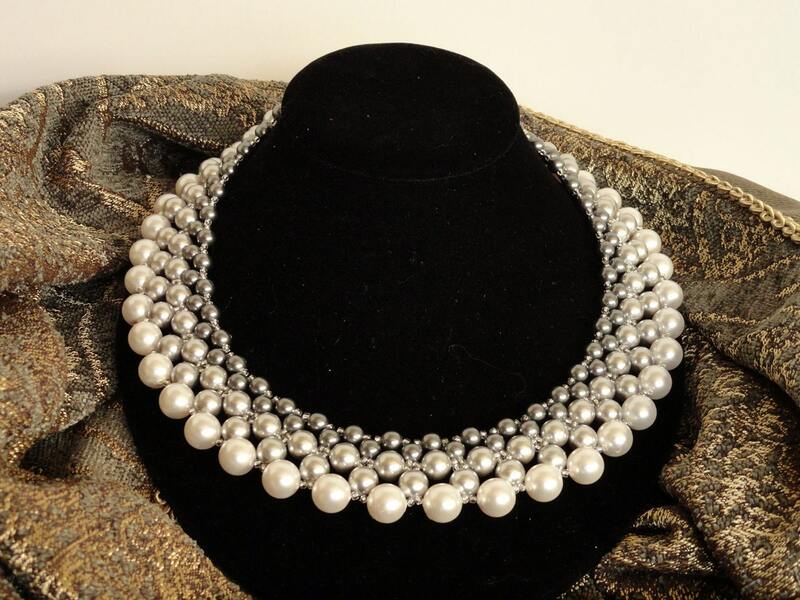 A classic look for any occasion with a contemporary Renaissance feel, this variation of the classic pearl collar consists of three strands of Swarovski pearls in graduated sizes of 6mm, 8mm, and 10mm with seed beads constructed in a right angle weave stitch. 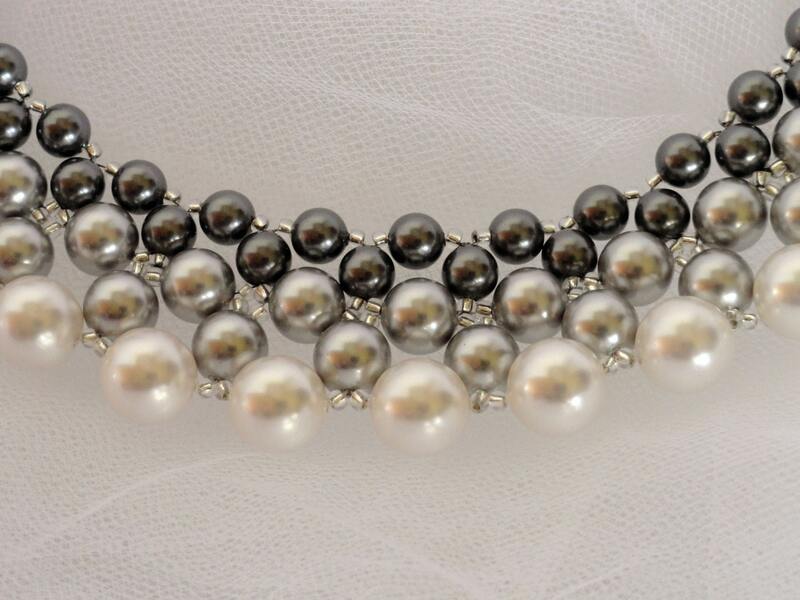 This collar is designed in gradient shades of grey - Dark Grey/Light Grey/White. 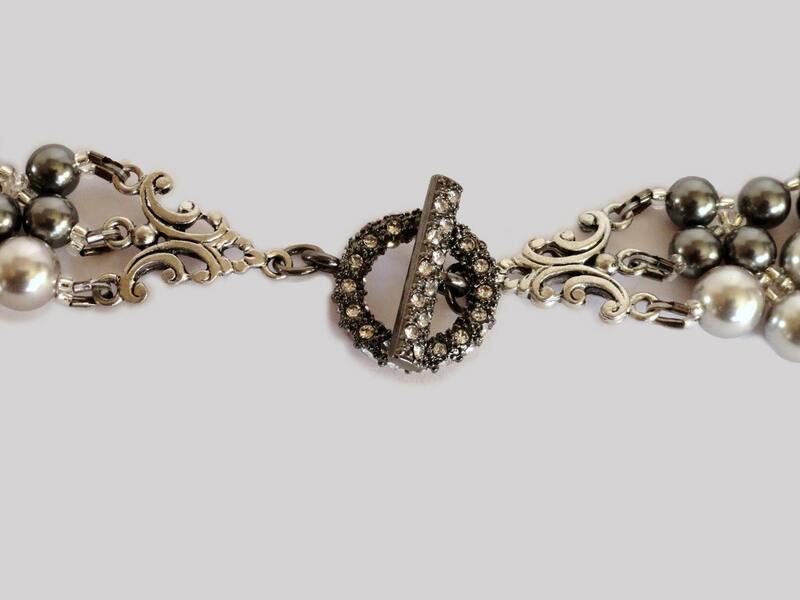 Decorative component ends add strength to the piece; a Pave crystal toggle clasp provides more sparkle.